I wanted to start off this post immediately by saying that I do not endorse any "teatox" type tea that contains a laxative. 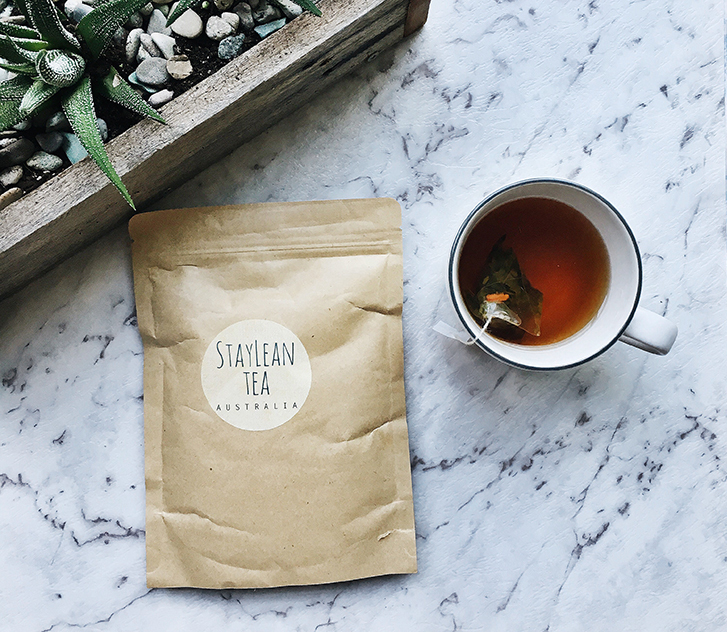 I received this package of StayLean Tea to trial and truthfully review, and I'm only willing to do so as StayLean Tea is 100% natural with no Laxatives. Teatoxes with laxatives are incredibly unhealthy and I do not recommend drinking them at all. The entire premise of StayLean Tea is that it is a mixture of natural herbal teas that each have different properties. The main tea leaf is the Longjing green leaf. This rare leaf is loaded with antioxidants, amino acids, vitamins and catechins. When these blends are combined they work together to stimulate fat loss while replenishing your body with nutrients. I received a 14 Day Tea pack from StayLean, and tried it out, so here is how it went! The 14 day StayLean Tea pack contains 14 Lean Burner Tea bags, and 7 Cleanse Tea bags. 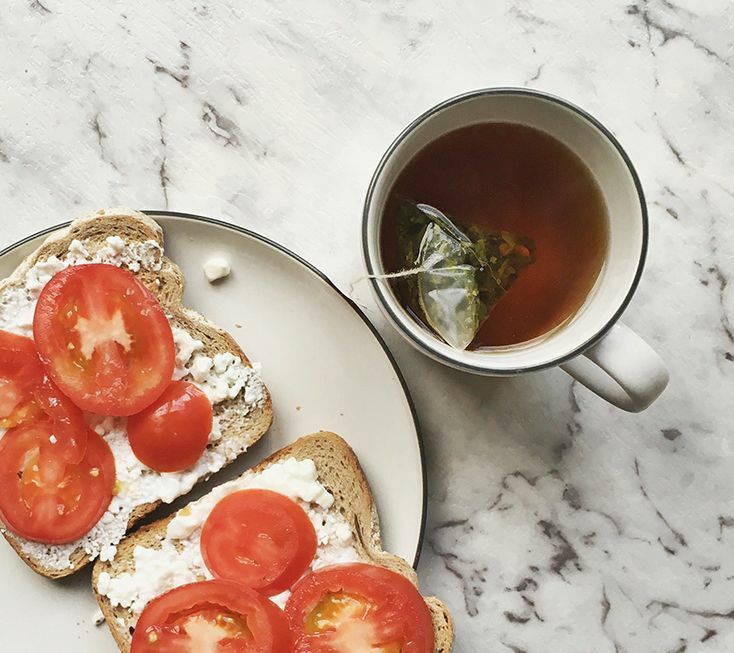 You are meant to have one cup of Lean Burner Tea every morning for 14 days, and one cup of the cleanse tea, every second day in the afternoon. The Lean Burner Blend contains Longjing green leaf, Pu'erh Tea Leaf, Dandelion Leaf, Lotus leaf, Lemon Grass, Oolong leaf, Goji Berry. I loved the flavour of this tea, it's hard to describe, but I usually like a sweet milky tea. But this tea is perfect without sugar, and without milk. Very different but highly enjoyable. The Lean Cleanse Blend contains Longjing green leaf, Chamomile, Chrysanthemum, Rose flower, Lavender, Roselle, Lemon Grass. This tea was a purple colour, and very strongly tasted of lavender. Not unpleasant but not as nice as the first tea. Now this isn't a drastic weightloss kinda tea, there's no laxatives, so if you're not eating healthy and working out then you're probably not going to see any change at all. I don't do any exercise, but both of my jobs are 8 hours on my feet walking around. I try to eat healthy but I still don't manage to do that all the time. I never really felt bloated during my time drinking the tea which is a bonus. But I also didn't feel as though my appetite was suppressed at any time. Speeding up your metabolism is more likely to make you feel hungrier faster anyway. After having a healthy breakfast and a cup of tea around 7.30am before work, I was very hungry at around 11.30ish. Me in my new swimmers for my cruise next week! I wanted to feel comfortable in my skin for my Summer cruise next week. I bought myself a new bikini and I'm feeling great! I'd recommend this tea to anyone who was interested in Teatoxes but wants to (cleverly) steer clear of any that are loaded with laxatives. 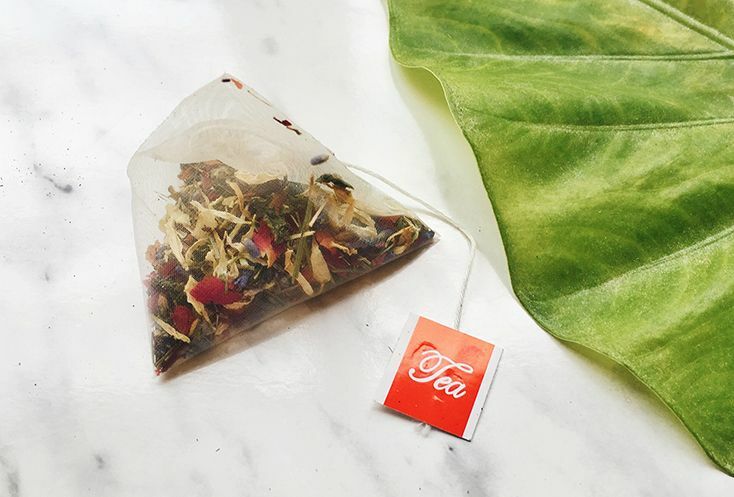 This tea works great as an addition to your healthy weight loss plan, as it goes well alongside healthy eating and exercise. You can get 10% off your StayLean Tea order with the code "tegan88" ! Sweet! Great review! You look fantastic in your new bikini, I hope you have a wonderful time on your cruise next week! Sounds like a nice alternative to the teas with laxatives in! And girrrrrrl, I want to look that good in a bikini! Girl, your bod is GOALS. I think you look fantastic and all ready for the summer cruise. The tea sounds fantastic, too!